An uninsured driver killed a mother-of-two in a head-on crash after overtaking another car on a blind bend. Thomas Canning's Ford Mondeo smashed into Lisa Fleming's Vauxhall Corsa on the B833 in Rosneath on 31 July 2017. Mrs Fleming, 32, had earlier texted her husband to say she was heading home from a shopping trip in Dumbarton. The evidence of eyewitnesses, coupled with the police collision investigation, make it clear that Lisa Fleming would have had no time to react or avoid the collision. Canning, 22, from Clynder, Dunbartonshire, admitted causing death by dangerous driving at the High Court in Glasgow and sentence was deferred. Judge Lord Mulholland told him: "You have visited a life sentence of grief and loss on the family of Lisa Fleming by your driving. "You should know that a car can be a lethal weapon. This didn't need to happen and you are responsible by your dangerous driving of causing her death. "This is compounded by the fact you weren't insured which shows a cavalier attitude to driving." The court had heard that Canning had only bought the car a week before the crash. He had taken out temporary insurance but it expired three days before Mrs Fleming's death. Prosecutor Iain McSporran told the court: "At approximately 5.50pm, the accused was involved in a head-on collision with the Vauxhall Corsa driven by Mrs Fleming. "The driver in front of Mr Canning observed his Ford Mondeo drive alongside and begin to overtake on the approach to a blind bend. "Mr Canning, by his plea, accepts he carried out the overtaking when it was unsafe to do so and when he was unable to see oncoming traffic." Canning lost control of the car as he pulled back in after overtaking. It went onto the wrong side of the road and collided with Mrs Fleming's car, which was forced backwards into trees by the impact. 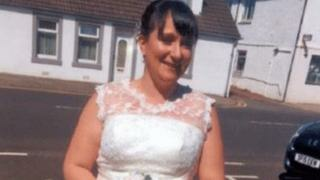 Mrs Fleming, from Rosneath in Argyll and Bute, was found dead in her car after suffering head and neck injuries. Canning's vehicle came to rest on its roof. A 16-year-old boy, who was also in the car, sustained a broken ankle and collarbone. Mr McSporran added: "The evidence of eyewitnesses, coupled with the police collision investigation, make it clear that Lisa Fleming would have had no time to react or avoid the collision." Canning was remanded in custody to await sentencing.